Update: The IndexTank service is no longer in operation. They were bought by LinkedIn and have closed their API and services to all existing and new customers. However, the good folks at IndexTank have open sourced their entire platform, and several great companies have been created to continue to service IndexTank customers. They are all completely compatible with my Haystack library as well as any existing IndexTank code you have written. The IndexTank API is a hosted search solution used by some of the largest sites on the web such as Reddit, Twitvid and ZenCoder. It offers some cool features such as Geolocation, fuzzy search, autocomplete, “Did you mean” spelling correction, stemming and most importantly, real-time indexing. It’s a pretty cool service, and did I mention that it’s free to index up to 100,000 documents? The only problem is that there wasn’t a PHP client available for the CodeIgniter framework, until now. Haystack is a PHP client offering basic interaction with the IndexTank API, implemented as a CodeIgniter library. It is very much a work in progress, and as I wrote it primarily for use in my current project, it is not as general as it could be. I will be maintaining the library on Github and will continue to add new functionality and improvements as time allows. You can download the library from my Github repository. // Results found. Loop through them and print the id. 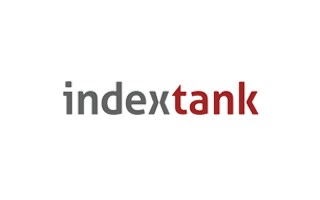 IndexTank is closing down at 10 April 2012, and I am encourage your to try IndexDen which is 100% compatible with IndexTank API.